Vol. 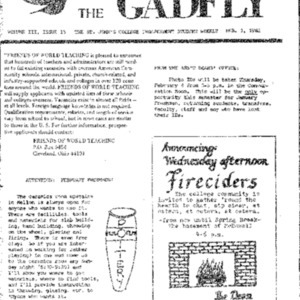 III, Issue 27 of the Gadfly. Published May 17, 1982. Vol. 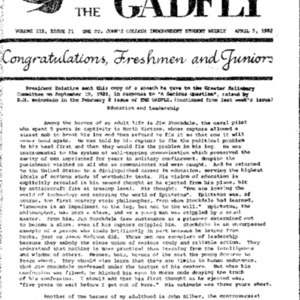 III, Issue 26 of the Gadfly. Published May 10, 1982. Vol. 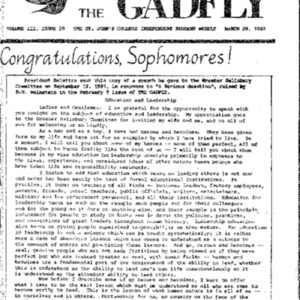 III, Issue 25 of the Gadfly. Published May 3, 1982. Vol. 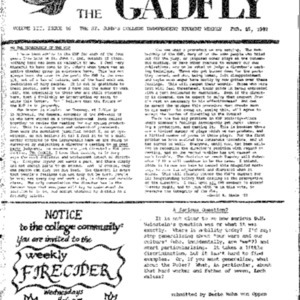 III, Issue 23 of the Gadfly. Published April 26, 1982. Vol. 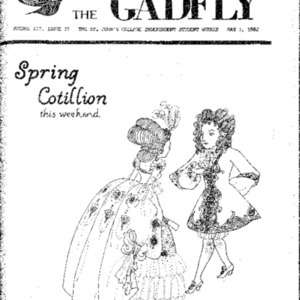 III, Issue 22 of the Gadfly. Published April 19, 1982. Vol. 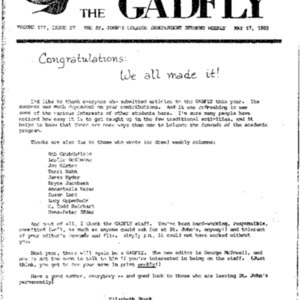 III, Issue 21.2 of the Gadfly. Published April 12, 1982. Vol. 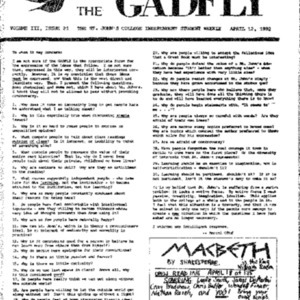 III, Issue 19 of the Gadfly. Published March 8, 1982. Vol. 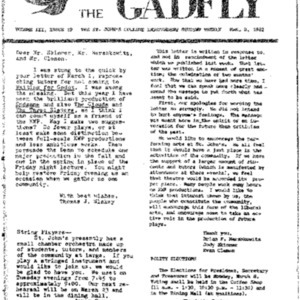 III, Issue 17 of the Gadfly. Published February 15, 1982. Vol. 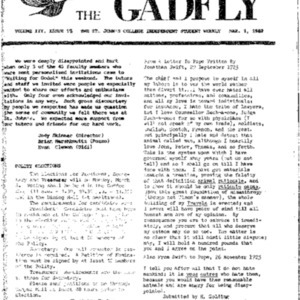 III, Issue 16 of the Gadfly. 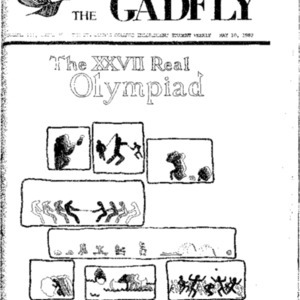 Published February 8, 1982. Vol. 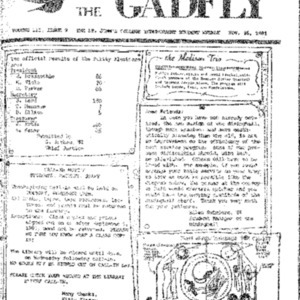 III, Issue 15 of the Gadfly. 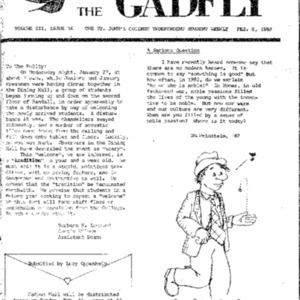 Published February 1, 1982. Vol. 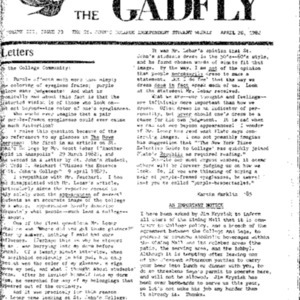 III, Issue 12 of the Gadfly. 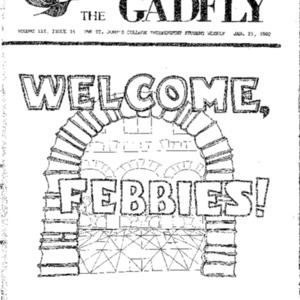 Published January 11, 1982. Vol. 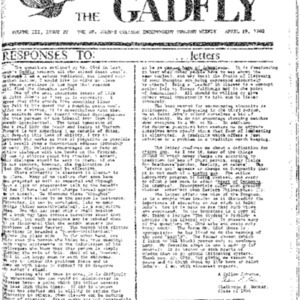 III, Issue 11 of the Gadfly. 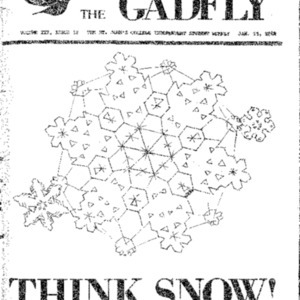 Published December 7, 1981. Vol. 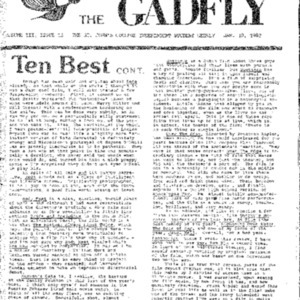 III, Issue 10 of the Gadfly. 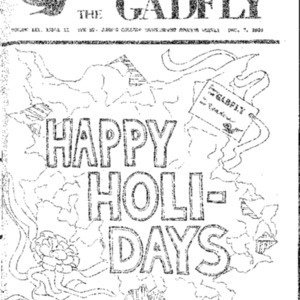 Published November 23, 1981. Vol. 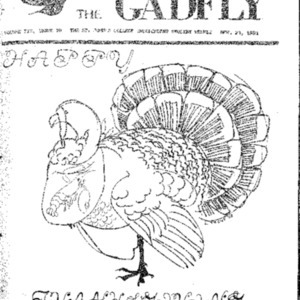 III, Issue 9 of the Gadfly. Published November 16, 1981. Vol. 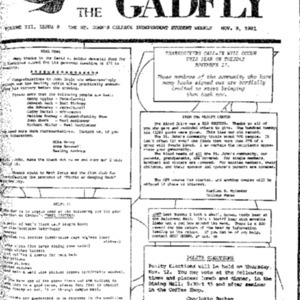 III, Issue 8 of the Gadfly. Published November 9, 1981.